Jim grew up in Cincinnati and started out his career performing magic at birthday parties and schools after he won the "Best Senior Trick" in high school. He continued perfecting his skills in college and won first place at the Bowling Green State University Family Weekend Talent Show in Bowling Green, OH. With normal jobs boring Jim, he started performing at amusement parks, including Cedar Point and Kings Island. In 2007, he got his pyrotechnics assistant license and started working for Rozzi Fireworks in Cincinnati. Adding to his different and interesting jobs, Jim has toured for 12 years as Illusion Manager for an illusionist based out of Detroit and Las Vegas. He has also worked as Stage Manager, Camera Operator and Audio Engineer for the touring production of Masters of Illusion Live!. This amazing opportunity meant working with, in no particular order, Gay Blackstone, Greg Gleason, Farrel Dillon, Titou the French Magician, Rick Thomas, Jonathan Pendragon, Tom Burgoon, Michael Finney, Aaron Radatz, Michael Grandinetti, and lots of other true magic pros in theaters and arenas all around the United States. Taking everything he learned from these amazing experiences, Jim created JMagic Productions to bring his creative magic to events all over Ohio. 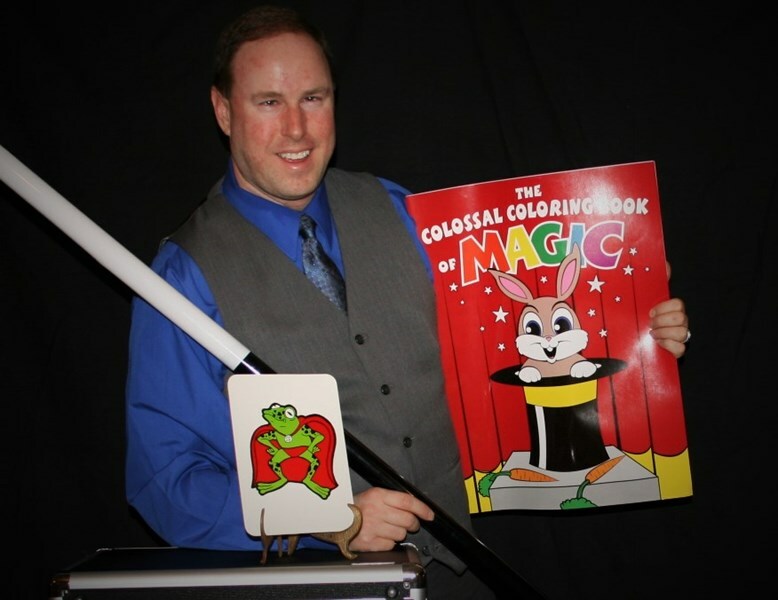 Now living in Cleveland, Jim is available to make your next event a magical success! Let the Magical Mr. J entertain your audience with a 30 minute magic show that includes the acrobatic Super Frog's favorite trick, a coloring book that doesn't need crayons, a drawing that comes to life, 2 Pringles cans that multiply into 12, a queen of hearts that goes to pieces and a finale that will turn the birthday child into a magician to make lots of candy appear for the party! Lots of audience participation and G-rated comedy makes this show perfect for birthday parties! 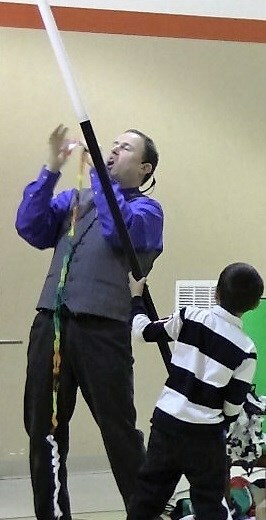 Add balloon twisting to the party! After the show, Magical Mr. J can twist balloon animals, flowers, swords and hats for everyone, including a special large hat for the birthday child! Having a family get together? Let the Magical Mr. J entertain your audience with a 45 minute magic show that includes shrinking his own head, making a drawing come to life, multiplying 2 Pringles cans into 12, creating snow from his bare hands, an escape from chains and even a trick using an audience member's shoe! This show is interactive and involves everyone in the audience. With music, comedy and lots of magic, this show makes any party extra magical! Magical Mr. J can entertain with amazing magic table to table with every day items like rubber bands, cards and even your guests' hands! He was very entertaining and was able to engage our not-very-outgoing audience. Our audience was very reserved, but he did a great job doing tricks that did not put anyone on the spot. His willingness to do some stage work as well as some walk-around work was great. He tailored it to what we wanted and was very fun to watch. He was very professional! You can tell he really loves what he does and it's not "just a job" to him. From the kids to the adults, everyone loved him! Cheers all around! Thank Mr. J. You were truly magical! We had Magical Mr. J come to my daughter's 6th birthday party. 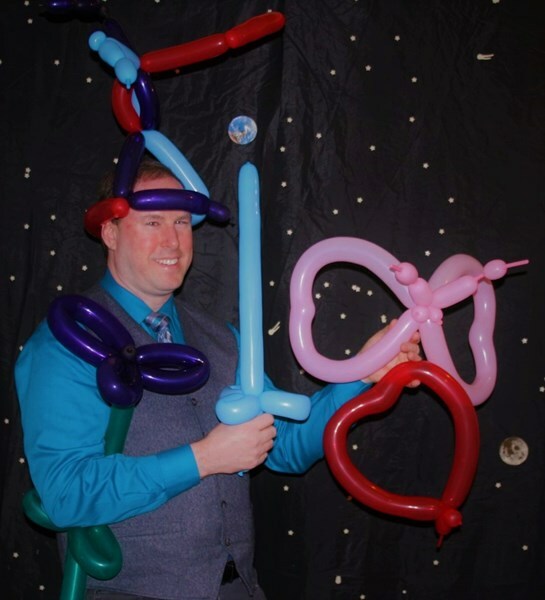 We did both the magic show and balloon art. There were about 13 kids age 6 and under, along with some parents and grandparents. The kids thought it was hysterical and talked about their favorite parts in the following days after the party. He was very accommodating with their balloon requests. Hearing the genuine belly laughs from the kids was very enjoyable. He was very responsive and made it very easy. Please note Magical Mr. J will also travel to Berea, Columbia Station, North Olmsted, North Ridgeville, Brookpark, Cleveland, Fairview Park, Westlake, Strongsville, Bay Village, Avon, Middleburg Heights, Rocky River, Grafton, Brunswick, Elyria, Lakewood, North Royalton, Parma, Valley City, Avon Lake, Broadview Heights, Hinckley, Lorain, Sheffield Lake, Lagrange, Litchfield, Amherst, Garfield Heights, Medina.